Enjoy comfortable RV camping accommodations at Heart of the Forest RV Park in Wellston, Michigan! 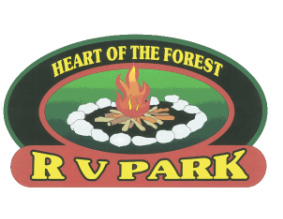 Enjoy your stay at Heart of the Forest RV Park. In addition to the quiet atmosphere and friendly service, we offer rustic to full hook-up pull thru RV sites featuring 50 amp electric service, water, and sewer. Each of the spacious campsites includes its own picnic table and fire ring. All full hook up sites can accommodate most RVs with multiple slideouts. A dump station is available for all guests to use. Seasonal sites are offered for long term stays. 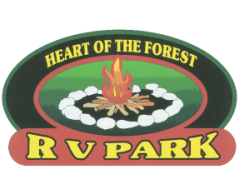 Guests of Heart of the Forest RV Park will appreciate the clean and modern comfort amenities including heated restrooms, hot showers, and laundry facilities. Ice, firewood, ice cream, and camping supplies are available at our convenience store, the Whitetail. We offer a fish cleaning station all season long and can freeze your fish (during the salmon run in the fall).